Latvijas Mobilais Telefons (LMT) mobile operator aims to increase the share of exports to 30 percent of its turnover, LMT President Juris Binde told journalists today. With Internet usage rapidly increasing and 5G arriving, the telecommunications industry is undergoing a major transformation, and if used wisely, this moment provides opportunities for developing competencies and generating additional revenue, Binde said. “All the necessary preconditions are already in place, including one of the world’s most effective networks and skilled professionals who generate innovative ideas each day and by cooperating with partners find ways to implement them,” Binde said. The LMT head emphasized that in the future mobile operators will have to focus on the 5G technology in order to ensure comprehensive mobile communication. LMT Vice President Ingmars Pukis informed that for the second year already, the company will participate in the Mobile World Congress in Barcelona, Spain, in order to reach out to potential clients in foreign countries and expand the export market. 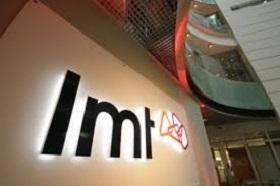 As reported, LMT saw its consolidated turnover grow 6% y-o-y to EUR 216 mln in 2018, while the group’s profit last year was EUR 29 mln. The company’s EBITDA (earnings before interest, taxes, depreciation and amortization) was EUR 66 mln. LMT was registered in 1992 as the first mobile operator in Latvia. Sonera Holding and Telia Company each own 24.5% of LMT shares, Lattelecom and Latvian State Radio and Television Center - 23% each, and Latvian Privatization Agency - 5%.